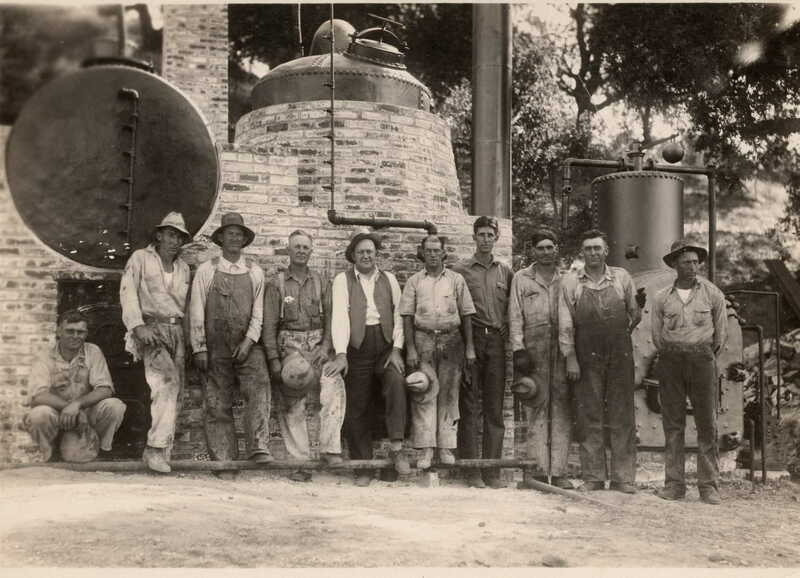 SCVHistory.com TLP3002 | Newhall | Pico Oilmen at Restored Pioneer Refinery, 1930. 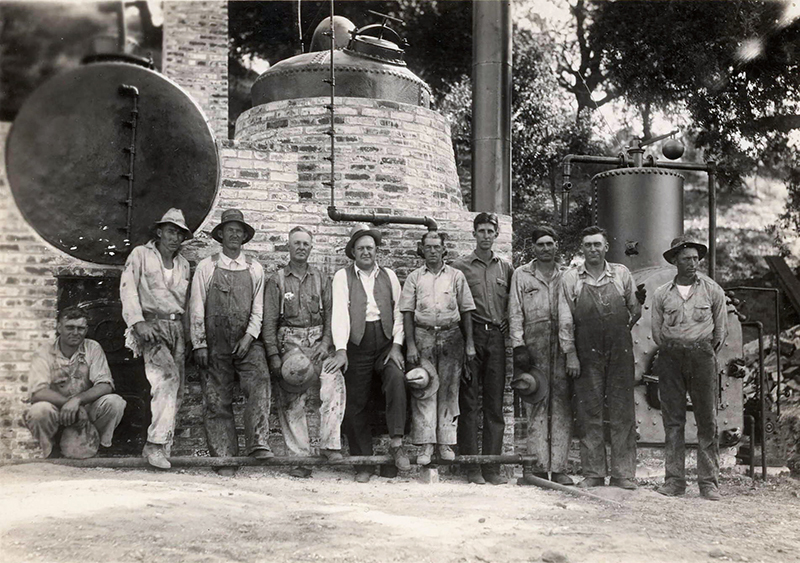 Charles E. Sitzman (in vest), Standard Oil Co.'s superintendent of the Pico Canyon oil field, is flanked by his crew at the recently restored Pioneer Oil Refinery off of Pine Street in Newhall. At the Nov. 5, 1930, ceremony, the refinery was dedicated to the memory of pioneer oil man D.G. 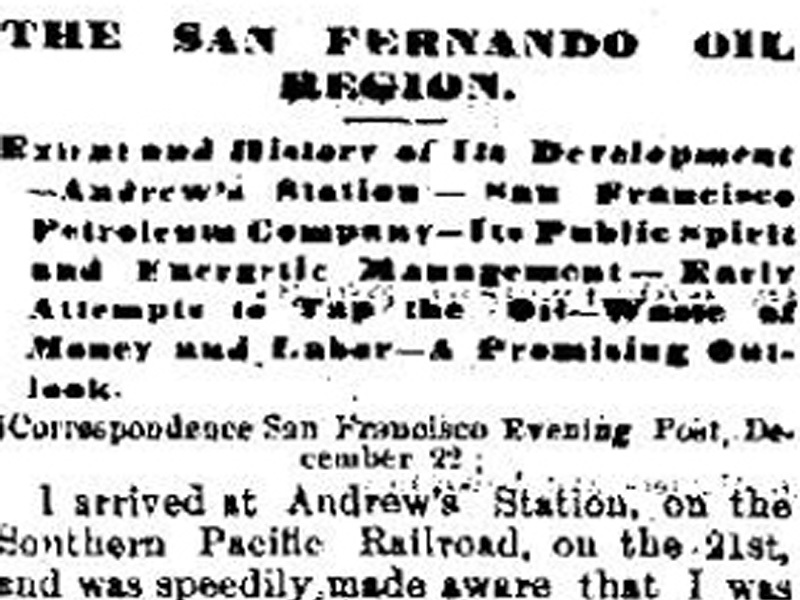 Scofield, founder of California Star Oil Works, which hired Alex Mentry to bring in the wells in Pico Canyon. Historian Stan Walker notes that this photograph was "probably not taken at the dedication ceremony because Sitzman would have been dressed in a suit like all the other dignitaries."